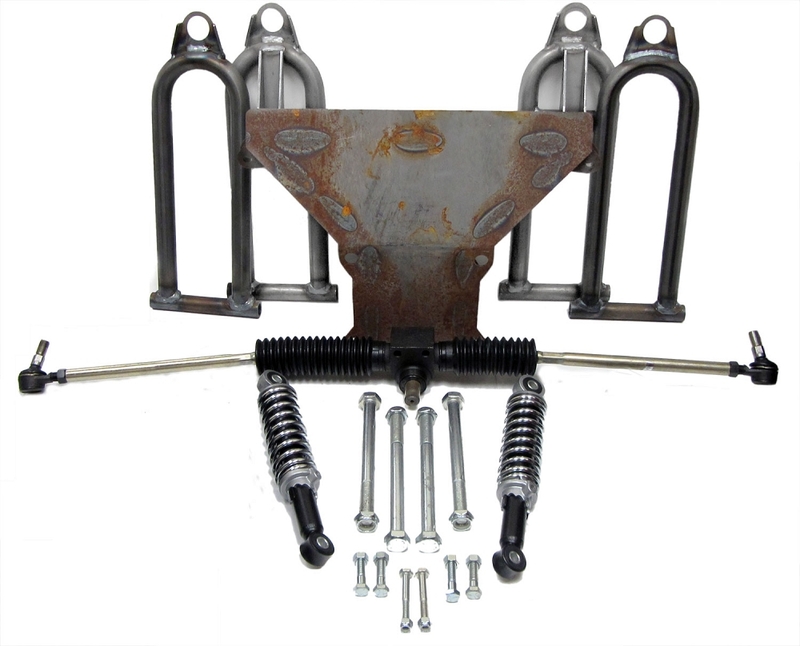 This is a front end assembly for the Spiderbox series go karts from Yerf-Dog. This complete front end may differ from early Spiderbox models, these do not use a bronze bushing and sleeve in the a-arms. The a-arms & center box are drilled to utilize only a 5/8" bolt. Will work on all Spiderbox series of go-karts from Yerf-Dog. 2- Shocks (05629) - Slightly longer shock, will require the tie rods to be adjusted out. This Item comes UNASSEMBLED and will only work with even spindles.